The main stage where all the artists came on to perform was a huge and remarkable piece of art itself portraying a show-line of MAKE-YOUR-OWN-RULES belief of Under 25 organization evident. 2. 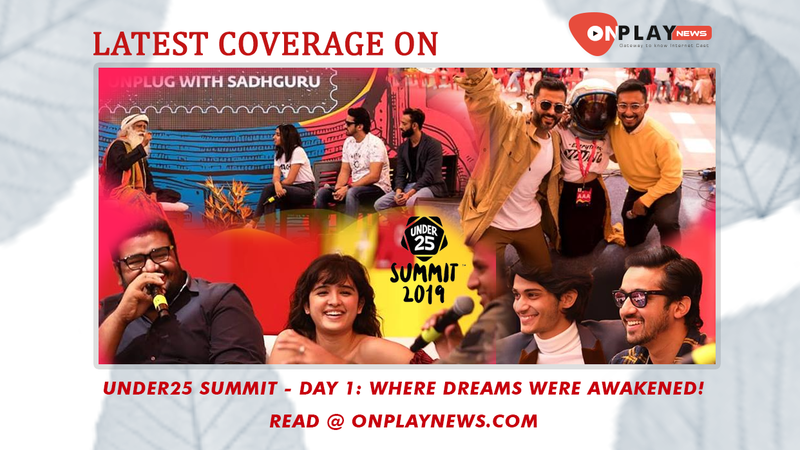 From calling established YouTubers like Prajakta Koli, Abish Mathews, and Rohan Joshi, the not-so-mainstream artists like Arjun Amori, Anand Ahuja, SadGuru were part of this phenomenal event as well. 3. The Youth who needs a direction on how to guide their talent on the right path had an opportunity to live the roads to their dreams in this summit. It was so exciting yet so relaxing. 4. Not only inspiring, but the summit proved to be an entertaining platform as well with the whole creative Tinder Camp set on the venue. People were dancing, laughing, and talking the unsaid in the Ice-Breaker zone of the chat with strangers. 1. What is under25 summit all about? Under25 was founded by Anto and co-founder Shreyansh Jain to let youngsters have a platform where they hop on to their dreams and get a good vibe. It was started back in 2013 and still continues to let people get together and happening. 2. How was the response when you invited Mr. Obama with open letter video invite? We were literally overwhelmed from the response which we got. His office knows about it and we are planning for Mr. Obama in the 2020 summit. 3. How is Under 25 better than other youth festivals happening in India? Under 25 is the only event where people not only come for just a Tinder camp but also gives an educational and inspirational zone in terms of every area – Photography, Art and lots of love. Under25 is the unheard voice which needs to be heard more and more every year.